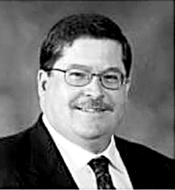 William M. McMurray Passed away peacefully at his home on June 25th, 2007 in Novato, California at the age of 51. Bill was born on April 20th, 1956 and lived his whole life in Marin County. He was profoundly committed to the public service. He balanced his wonderful sense of humor with a sense of seriousness that made him a truly respected leader. He was genuinely liked by all who knew him. He was a volunteer fireman, Emergency Medical Technician, ambulance driver, and then a 30-year member of the Marin County Sheriff's Office. Bill started as a 9-1-1 Emergency Dispatcher. He became the Communications Manager in 1986. He was president of N.E.N.A. (National Emergency Number Association) from 2004 through 2005, serving the safety dispatching profession and the agencies and citizens of the county, and country. Bill is survived by his wife of 25 years, Sherrald, and his daughters, Geri, Amanda, and Meredith. Additionally he is survived by his mother, Bea McMurray, his sisters, Terry Jastrom, Mary Hoell, Tricia Bippus, and brother, David McMurray. He will also be missed by his many nephews, nieces, aunts, uncles and cousins. His highest priority was spending time with his family. A long time member of Lucas Valley Community Church, Bill served on the church board, and taught youth Sunday School weekly. Bill will be deeply missed by the family he cherished, and by the larger community he served with passion. He attended Tamalpais High School, graduating in 1974. My thoughts and prayers are with you and your Family Mer! May your memories bring you comfort. It has been nearly 3 months since Bill passed away and I still miss him coming in early each morning and our discussions. Ethel saw him in the beginning of the week on her shift and I saw him at the latter end of the week. We discussed not only work but stories about our families and he helped me through several crisis when I was a single mom. There were several times that Bill was there for me when sad or confusing times hit and he always said or did the right thing to make things seem better. After nearly working 20 years at the Comm Center with him, there is a big void since he left us. I will miss him teasing all of us, including himself, for being Tam High grads and seeing what we are all doing for a living. Although we laughed that the Marin County residents should be scared, we knew that in spite of our joking we all did our very best to serve them. Bill was so very proud of his family and of his employees, and so dedicated to all. There were several of us that were going to retire around the same time, including Bill, but the Lord had something else planned for him. The next couple of years won't be the same without him. Rest in peace Billy Bob. If Bill was anything like his daughter Geri, then I am truly sorry I never got the chance to know him. My condolences to Bill's family, friends, and co-workers. My thoughts and prayers are with you all. I worked with Bill in the Comm Center at Marin and in connection with my volunteer service to Marin OES, 1986-1988. I had been disabled out from working in the Comm Center and had moved back to NJ to be with my family in 1988. I last visited with Bill in 1993, on a trip to CA. It was so nice to see him as he greeted me with his big smile and hand shake. He was surprised to see me as I had been diagnosed with a brain tumor when I had disabled out. I explained that thankfully it turned out to be an error of diagnosis, however, I actually turned out to become visaully impaired. Even though he was busy, he took time to give me a tour of the new Comm Center and introduced me to some of the working staff. I was very happy to spend time with him back then. I have been going through alot medically since and unfortunately lost touch with Bill. I currently reside in Colorado where I have become degreed in emergency management and recently held a 2-year term as Public Safety Commissioner. I know Bill would've been proud of me if he knew of my accomplishments through my disability. I have great memories of working with Bill and our last visit. He was an awesome boss and great friend. Please except my deepest condolences. I am so grateful that I had the opportunity to work with Bill on the NENA Bylaws project. He was a joy - always helpful to the members and inserting a dash of humor when desperately needed. I shall miss him, but know that it's because I was lucky enough to know him, even for a short while. Knowing Bill was a joy. He will be greatly missed by all in the 9-1-1 community, where he freely shared his knowledge and dedication. God speed! Though I did not know Bill, it is obvious that he cherished and loved you dearly. I am sure Bill's life and death has inspired many friends, associates, and family members to live life fully and take care of one another. Clearly, Bill's contributions and achievements are many - he was a great man. I first met Bill in 1994 when we took the ENP certification test in Sacramento. Our relationship continued well past that as we both became active in CAL-NENA and NENA. Bill recruited me to become a member of the CAL-NENA Board. We also served on the CESAB together. I considered Bill a close friend and was saddened to hear of his passing. He was always available to talk with me, provided me guidance, and his sense of humor was always a refreshing respite from the stress and hectic life in 9-1-1. I will miss Bill. My deepest condolences to the family. What a wonderful man, an example to all. We feel fortunate to have known him and will always enjoy the memories of his sense of humor and devotion to Jesus. We think fondly of the bible studies together all those years ago - where Bill was so intense, and eager to learn and share his thoughts and opinions! And we remember him - sitting in the back row - a humble servant for our Saviour - ready with a smile and a hug for everyone passing by. All our love to you! Bill's sense of humor was the best, and he was part mischief-maker too. I'll miss everything about him, but most of all his humorous and kind nature. It's such a comfort to know that he is with his Creator now and forever, swapping rescue stories with the one who saves us all. May Memories comfort you and your Faith in God sustain you during this very difficult time. I had the pleasure of getting to know Bill through Lucas Valley Community Church. I remember attending one particular Promise Keepers Conference with Bill where the theme of the conference was "To Leave A Legacy, You Must Live A Legacy". I know Bill lived a legacy to the fullest even though I didn't work with him professionally, he was a great prayer partner to me. My thoughts and prayers go out to Bill's family and friends. By reading the entries posted here from all over the country, it is very easy to see the positive impact Bill had on his fellow man. His sense of humor was well known, as was his unwavering dedication to E9-1-1 service. Bill made no secret of his love for his family and his faith. May you all find comfort in knowing he has most certainly reached his final reward. God Bless. Bill was such an incredible man, as you well know. He set a high standard for all men to follow. God surely used him to bless many of us! May you feel comforted by the knowledge that you'll see him again someday. We love you so much. May God guide you through this most difficult time. He loves you and we do too! As we're thinking about you, we are shocked and deeply saddened. We're here when you need us in any way we can serve you. I am grateful to God for sending my Sister a husband like Bill. He showed support and love to his wife and children. I appreciated the way Bill loved Sherrald's family and participated in Holiday family events like Thanksgiving. Bill loved good soul food dishes. He was a solid real man. They are a rare find in the world today. Becky, Addie and I were deeply saddened by the loss of a dear friend, and a man we always looked forward to seeing at NENA events. I always enjoyed his sharp sense of humor and sharing our insights on raising children. He was a man of total integrity with passion for 911 and will be missed by the global public safety community. Please accept our heartfelt sympathy...and know you are in our thoughts and prayers. As a new vendor to the 9-1-1 industry, nearly twenty years ago, Bill was the first to call and “check me out”. I enjoyed speaking with him at many conferences throughout the years. The Public Safety Communications industry made great strides thanks to Bill's efforts and successes. We will miss all that he had to offer. Bill and I were childhood best buddies, I wish I knew you Bill now, as I did then. Your Mom was the best sitter ever and we did have the best times. I am so very sorry for your loss. Dearest Sherrald,Geri,Amanda,&Merdith,and all my MCSO/Marin Co.extended friends&family. A very sad day for me learning about our original anonymous hero's passing. May all our hearts be forever connected with pride,thanks,love and prayers for heavens next angel, enjoy the dance Bill! Bill,the manager, also took a chance on me,believed in me, and supported me through many difficult times, and times of personal & professional achievement Our days/nights trolling back in Comm.Ctr.and being an ex Tam Valley girl. I will never forget. To all of you who share your amazing glimpses into a life we all were touched by & admired and will always be inspired by. I thank you.Bill was always at the top of his game, and pranks,as shared by so many of you all over the globe. May his soul forever rest in peace.I know we all have a hole in our hearts, but let all that he shared with each one of us,forever fill us. Till we all meet again,in the other paradise. Love,peace,and prayers, always.KK/aka Arms/Legs.Bill's fav: Kroeger like Booger. My condolences on Bill's early passing. I was a volunteer firefighter with Bill for the Tamalpais Fire District. The Rockford 911 Center extends our deepest sypmathies to Bill's family,co-workers and friends. Although we never met, reading these memories written by those who had the honor of knowing him are reflective of the wonderful person that he was. May his kindness never be forgotten. I am sorry to hear of our loss, please accept our condolences. He had been a very supportive person of public safety in all aspects of his life and his life work will live on for many more years. I am very saddened to hear of Bill's passing, my thoughts and prayers go out to Bill's family, friends and co-workers for your loss. I had the opportunity of working with Bill as a vendor during my tenure at Dictaphone Corporation and he was a pleasure to deal with. I wish the best for all affected during this difficult time. Bill touched more lives than you will ever know. His passion for helping others, his faith, and his leadership will all be greatly missed, but most of all his ability to make people smile and know that he cared about them as individuals will be remembered. Thank you for sharing him with us. Sherrald and family, I am so sorry for your loss. Bill was a great friend and will be missed by so many. My prayers are with you all. I was fortunate enough to work with Bill on a professional level experiencing first hand his commitment to public safety. His witty sense of humor and goodwill and love of the lord will be truly missed. Heaven has him now but one day we will all meet again! So long Bill! My thoughts and prayers go out to Bill's family, friends, and colleagues. It was an honor to work for Bill and to have known someone who has touched so many lives. He was passionate about his profession, and he always was a calm sea in the middle of a storm. For I cannot put into words how much we will miss Bill, I will certainly never forget him. On behalf of the members of the City & County of San Francisco's Department of Emergency Management (9-1-1) please accept our deepest condolences for your loss. Our thoughts and prayers are with you during this difficult time. I hope Bill's great love for you and your family will help bring peace quickly to your side and carry you gently now. You will all be in our thoughts always as we carry with pride memories of the enormous contributions Bill made as a leader in the 9-1-1 industry that will have a positive impact on many people for years to come. My thoughts and prayers are with the McMurray family. I've had the pleasure of working with Bill since 1979. I will miss his "Morning morning morning" and his "See y'all manana" each day. I'll miss his morning "catch up" chats as he and the other managers would stand over my console talking. I'll miss watching the close friendship between him and RB as they "bickered" back and forth throughout the day. I'll miss making his head spin when passing on information that would cause him to angle his head to the side and say "Huh? - Tilt"! I will miss him sharing news and pictures of Meredith - his very own United States Marine. I will miss walking into his office and seeing all the family pictures, because as so many have already said, Bill was supremely proud and in love with his family. I hope these pages of memories bring some measure of comfort to you. Bill made a profound and positive impact on so many around him. Thank you for sharing him with us. I am praying for each of you. I am sending each of you special prayers for peace,love,and enjoyment in memories. Together as a unit in Christ, you will all be able to get through this. I am just so terribly sorry for your loss. I know you love your Daddy so dearly. I love you All BIG, and I am in your back pocket, forever plus one. who have made my world." May the angels welcome him into Paradise. Our thoughts, prayers and sympathy are with you all. I am deeply sorry for the loss of your husband, father and best friend. He truly loved his family above all else, and was so proud of all your accomplishments. It was my privilege to have worked for & with Bill for the last 15 years at Marin County Comm; he created a legacy of professional and caring public safety dispatchers at Marin County Sheriff's Office. He had a passion for the Emergency 9-1-1 System and was a wonderful, honest leader. I will miss is wise counsel and his vast knowledge of the pubic safety world, but above all, I will miss his friendship. My deepest sympathies. I had the pleasure of meeting Bill just this past year. Bill participated in a class I was presenting at CALNENA. He made a point to speak with me after my presentation to offer a kind word and then followed up with an email to offer more praise. His thoughtfulness was very much appreciated. The 911 World has lost a dynamic leader and great person. Rest in peace. To Sherald, Geri, Amanda, Meredith, and the entire McMurray family you have our deepest sympathy. Kim and I feel incredible sorrow for the loss of Bill. You are in our thoughts and prayers. May God bless and comfort you. I worked for Bill for nearly three decades, and in that time I came to know him as a man of amazing compassion, fairness, honesty, and decency. To me he was an incredible mentor, a terrific boss, and a great friend. While I knew him as boss, I also knew that Bill was a husband and father who loved God and his family above all else. Like all of you, I will miss him in more ways than I can even know. We were so shocked to hear of Bill's entry into heaven. Your partnership in life and ministry was also an encouragement to me and to our family. Lindsay always enjoyed seeing you at McGinniss and said what a great couple you were. We are hurting for you and pray you will find great comfort in the Lord you so faithfully served together. 'seconds save lives' and all of us in this 911 industry know that Bill's actions helped to save many lives. Unfortunately the 'live forever' pill has not yet been invented, so the time we share with each other is limited. I grew up in Marin County, and may have gone to school with Bill. If Bill's passing helps us in anyway, it may be to pick up the phone and call some one you love and tell them just that. 'seconds save lives'...don't waste them. Good night Bill, be seeing you again someday my friend. I was deeply sadden to hear of your loss - While I know Gerie more than others in your family I also appreciate the support you and your family provided for the family of your "godfather". My love and prayers for ALL of you during this time of loss and memorance. Your "dad" is always with you in memory , spirit and love. May this family be richly Blessed and Peace that passes all understanding envelope this family. You are in our prayers. I was shocked and saddened to hear of Bill's passing. He was a kind person and will ber sorely missed. I will have you in my thoughts and prayers. Please call on me for anything I can do. This is sent with my deepest sympathy. Bill will be missed as a leader and a friend. May God bless you all. The 911 Profession has lost an advocate, leader and champion. The world has lost a kind, funny, and compassionate man. The loss is profound on so many levels. The void immeasurable. He inspired and motivated us to reach to the limits and provide the utmost level of service technology would allow to people in distress. There can be no greater legacy. Our thoughts are with the McMurray Family, Marin County Sheriffs 911 Center and the countless friends and colleagues Bill leaves behind. He will be greatly missed. We were so sorry to hear of your loss. The thoughts and prayers of many are with you and your family during this time of sorrow. Please accept our deepest sympathy. My deepest sympathy during this time of loss. I pray that God will comfort you. I did not know Bill personally but I know he was dedicated to the job and cared deeply for the people he served. I did not know you in life. I only know the words that have been spoken about your love and dedication to your church, family, and career. I know your dedication in life will be appreciated in heaven just as much as it was here on earth. God bless you and your family. I think Bill had to be one of the finest people I have ever known. He was a true leader, a friend, and could always be counted upon to help in any situation at any time. He will be missed. Our prayers are with you and for him. He is in a better place now and will be welcomed there with grateful arms. The thoughs and prayers of the Florida NENA Chapter are being sent to you, the family, and all the co-workers. During this sad time, remember all the happy times,all the special talks and the great stories. Bill will be dearly missed by all. Our most heartfelt thoughts and prayers go out to the McMurray family, the Marin County Sheriff's Office and all of the very dedicated folks within the NENA community during this most difficult time. I have known Bill since 1974 when we were both vol firefighters, he for Tam Valley Fire and me at Mill Valley Fire. I have worked with Bill for the last 18 years while dispatching at MVPD, Vallejo PD, and now at Marin County Sheriff's Department. I had so many more jokes to pull on him. I will miss him and his laughter and smile. I used to chide him when he went home after working many hours and the last thing I said to him on Fri was "Hey Bill, leaving early ?" He left us way too early. I can't begin to imagine your sadness. I love you and am thinking of you. My thoughts and prayers are with you and your daughters at this time. May the Lord wrap his arms around you and keep you. My deepest sympathy goes out to you in this time of devastating loss. Bill was a rare and truly great human being. He was humble, intelligent, compassionate, generous and gracious. Always. He made every thing and everyone he touched better for having known him. What a tremendous loss to all of us, but expecially to you, his beloved family. May the God of compassion comfort you in your loss. I was greatly saddened to hear of Bill's passing. I had the pleasure of knowing Bill at NENA and always enjoyed his rare balance of wit and dedication. His classes always showed that. All of us at NENA will miss him. Please accept my sincerest condolences. May peace be in the hearts of family and familys during this sad time. On behalf of the Indiana Chapter of NENA, we would like to express our deepest sympathy to your family and loves ones. As a professional in Public Safety, Bill will be truly missed by all and respected by many. My deepest sympathy goes out to you during this tough time. You have lost a wonderful husband and father and I have lost a man that I was proud to call a friend. It is safe to say that without Bill, I certainly would not be where I am today. Bill took a chance on a very young boy 20 years ago, and helped me grow into the husband, father, and employee that I am now. Bill is not alone now. In fact, I'm sure that Gary has already started talking about how wonderful life was and how things in Comm Center could have been done differently! We love you Bill and will all miss you. My heartfelt sorrow for your loss. I had the pleasure of knowing Bill when I was a Detective at Fairfax P.D. and later on as a fellow employee at the Marin County Sheriff's Office. I will always remember our great talks and good meals that we shared. Rest in Peace. The Twin Cities Police Department extends our deepest sypmathies to Bill's family and friends. We have lost someone who truly cared about our profession and worked effortlessly to make things better for all of us. He will be missed. Words cannot begin to express the sadness and sense of loss we all feel. Bill was a dynamic individual with passion for 9-1-1 and compassion for his colleagues. He always had time to listen and to offer a thoughtful word. With a twinkle in his eye and a huge smile, he spoke often and with great pride about his family. Bill was an exceptional leader, colleague, and friend--but even more than this, he was a wonderful human being. I will miss his wit, his wisdom, and his friendship. My thoughts and prayers go out to you, your daughters and entire family. May memories comfort you and your Faith sustain you during this very difficult time. Sherrald, Geri, Amanda and Meredith - Our thoughts and prayers are with you during this difficult time. We love you. Well done thou good and faithful servant...Truly, the measure of a great person is his dedication to family and community service. Sherrald, Geri, Amanda and Meredith our prayers are with you as you mourn your husband and father's passing and celebrate his life. In deepest sympathy Dr. Erica Britton & Gwendolyn Bikis and Mr. and Mrs. Leonard Nash and family. Ashe. My life is brighter to have had a friend like Bill. Thank you friend for almost 20 years of laughter. The Kissimmee Central Dispatch Center in Florida send our deepest sympathy to the family and to the ladies and gentlemen in the dispatch center who worked with William. Bill was a coach, mentor, father figure and close friend to so many people, both in and out of the 9-1-1 field. He always led by example, had the highest ethical standards, and had a warm place in his heart and personality to everyone who met him. We know of no higher compliment for Bill's life and personal service: He made a difference. We are all better for knowing Bill. Bye, buddy--you'll be missed. Having worked directly and indirectly with Bill on a variety of Marin County public safety issues over the last 25+ years, I will miss his wisdom and counsel. My prayers are with Bill's family, and I join his many friends and acquaintances in expressing my heartfelt belief that Bill will not be forgotten and that our lives have been enriched by having known him. I have known Bill since he was a teen and hanging out at the Tamalpais Fire Department waiting to be a Volunteer.He went to high school with some of my children.He was raised and lived here in Tamalpais Valley.He had an amazing attitude and sense of humor and he was one of those people who, even as a young man, everyone liked and wanted to be around.We were all so happy when he found a wonderful woman to love,a family and a career he was destined to succeed in. He will be missed by many on many levels,personal and professional. My thoughts and prayers are with you.Always remember God knows best. Bill was a giant in the profession. May he rest in peace and may God Bless his family. It is with great sadness that we have learned of the untimely passing of Bill. On behalf of the Navajo Nation , I wish to express condolences to the family. We had the honor and privilege of working with Bill in the development of an emergency 911 system on our reservation. Bill took a special interest in our project as evidenced by the several trips that brought him here. He will long be remembered for the contributions he made to his people. May the good Lord be with you all during this most difficult time. Be strong and know that you are in our prayers. Thank you. To Bill's family: My prayers for you are many at this time, that you will be comforted by The One from above. I knew Bill through Promise Keepers many years ago when I first came to know the Lord. He was instrumental in setting up local meetings for us, as well as leading the study groups. It was at this time that the fire dept. connection was made. I have the utmost respect for him, and am consoled in knowing where he is now. As we remember him and celebrate his life, I pray you are all able to receive the grace of God through the love of family and friends who are supporting you at this time. Mike Ortelle, Deacon, Calvary Chapel Petaluma. FF/Eng., Southern Marin F. D.
It seems like only yesterday that Bill was literally running across the lobby of the Long Beach Convention Center to go the "extra mile" to help someone in 9-1-1. His wise and measured counsel and his deep dedication will be missed by all. Please accept my sincerest condolences on your loss. Bill was a fine example of a man with passion and caring for others, our loss is God's gain. Bless you and may the memories carry through this difficult time. Our heart felt sorrow for your loss, Bill was a great mentor and leader. He will be sorely missed. Bill had a heart for service. You could see it in his eyes. His passion and committment to the Public's Safety has inspired and guided many of us, both locaally and around the country. May your family find peace in knowing , he made a difference. God Bless you all in this difficult time. We offer our sincere sympathy. May Gods grace be with you and your family. I feel honored to have known Bill. He was a true advocate, champion, and hero for the people of this country, and more recently, the people of the world. His clear-thinking, friendly approach to problems set an example for everyone. To his family, I extend my deepest condolences. While we may never know why he was taken so suddenly and so soon, I believe God had need of Bill elsewhere - and whatever God needs, I'm sure Bill is up to the task. I am grateful for the time Bill spent with us. I, too, spoke with him several times in Charlotte earlier this month. He was happy, upbeat, talkative and enthusiastic - but then again, when wasn't he? I will miss him a great deal and will aspire to live up to the example he has set for us all. Bill was one of most kind-spirited human beings I've come to know over the years. The job wasn't always easy, but he was able to make it more pleasurable with his positive attitude and passion for doing the right thing. I only wish I had taken the time to tell him that just a few short weeks ago. He will be missed. Bill will be so missed by so many. Please know that you are in our thoughts and prayers. Bill made a difference through his efforts on behalf of 9-1-1, not only locally, but nationally and outside the US as well. He will be missed by many of us and I hope you find some comfort in knowing how important Bill was to our profession and the public we serve. To the family of Bill McMurray: On behalf of the Wisconsin Chapter of NENA, we extend our deepest sympathies at your loss. Bill will truly be missed. Your father was a wonderful man. I had the honor to work with him over the past five years, especially when he was President of NENA. He was a strong leader, a wise counselor, and a warm and kind friend. He was also very funny and irreverent -- we had totally opposite political views and could debate them passionately and respectfully. Most of all, I know he was a loving husband and father. God bless you all as you come through this difficult time knowing how wonderful Bill was! As much as Bill enjoyed serving the 9-1-1 community, it paled in comparison to his love for his family. It is a pleasure to have known and worked with Bill in many NENA activities, and we have all been blessed by his friendship. God Bless you Bill, Rest in peace, You are a sincere person with all the respect and admiration you deserve. It was a pleasure to have known you in our younger days. best to all your family. To the family of Bill McMurray: On behalf of the Illinois Chapter of NENA I would like to express our heartfelt sadness for your personal loss and for the loss of a great Public Safety Champion. Although I wasn't privileged to know Bill well personally, I am very much aware of his countless contributions to our industry and to our shared passion. God be with you in your time of bereavement. You are all family to me and your loss is mine.I'm so very sorry for your loss and my prayers are with you.Bill and his "sense of humor" will definitely be missed. I love all of you! The 911 community throughout Marin County and the country has lost one of its greatest advocates. I will always remember Bill for his ability to strive for the better in everything - technology, standards, and most of all, those who worked with him. He focused on a person's strengths, not their weaknesses. My thoughts and prayers go out to those closest to Bill - his wife and children, and the members of the Marin Co Communications Center. I was greatly saddened to hear of Bill's passing. I had the pleasure of working with Bill at NENA and always enjoyed his rare balance of wit and dedication. All of us at NENA will miss him. Please accept my sincerest condolences. We offer our sincere sympathy & we will be praying for your family. Dear Sherald and Family. I can't convey what your loss means to me. Bill was such a bright light and example to us all. He provided excellent leadership on the NENA executive board during his tenure. May God's grace be upon you now and in the times ahead. Sherrald and family of Bill - My thoughts and prayers are with you and your family in your time of grief. May your memories bring you comfort. I was so sorry to hear of Bill's passing. The thoughts of many are with you at this time of sorrow. I have had the good fortune to work with Bill on NENA activities over the last 10 years and he was always helpful and always available to ensure that everyone had access to 9-1-1. Bill will be greatly missed. I feel fortunate to have seen and talked to Bill in Charlotte. He always had a smile on his face and kind words flowed from his mouth.